Struggle to look fashionably put-together each day? 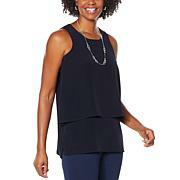 This top makes it easy with a elegant appeal that complements jeans and dress pants alike. 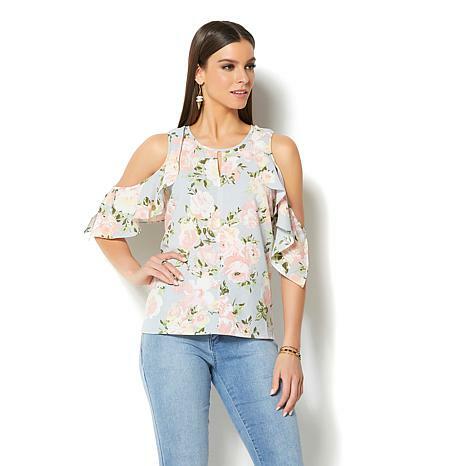 The cold shoulder ruffle detail adds a fun, flirty element to your look. 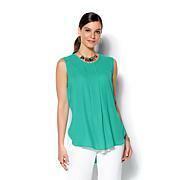 This top is so lightweight and it's perfect to jazz up or wear casually. I also like the seaming detail down the front. Fits true to size. I absolutely love this blouse! The sleeve is perfectly cut to camouflage anything I wanted to hide on my arms. The color is gorgeous, fit is to size! 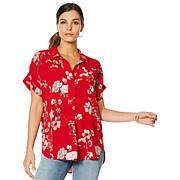 I received so many compliments on this blouse, thanks again for another great item! 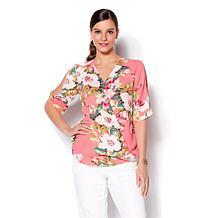 Love this blouse very comfortable, please bring back all sizes!! I got this top in black. I wanted it in the black floral, but it was sold out. I've already worn it a few times. So comfy, but looks great! I like it with jeans and sandals! Bought this top in 3 colors. True to size and washes nicely Please bring make again and or different style using the same material. I am hooked. Excellent quality.